set logos and watercolor stains. 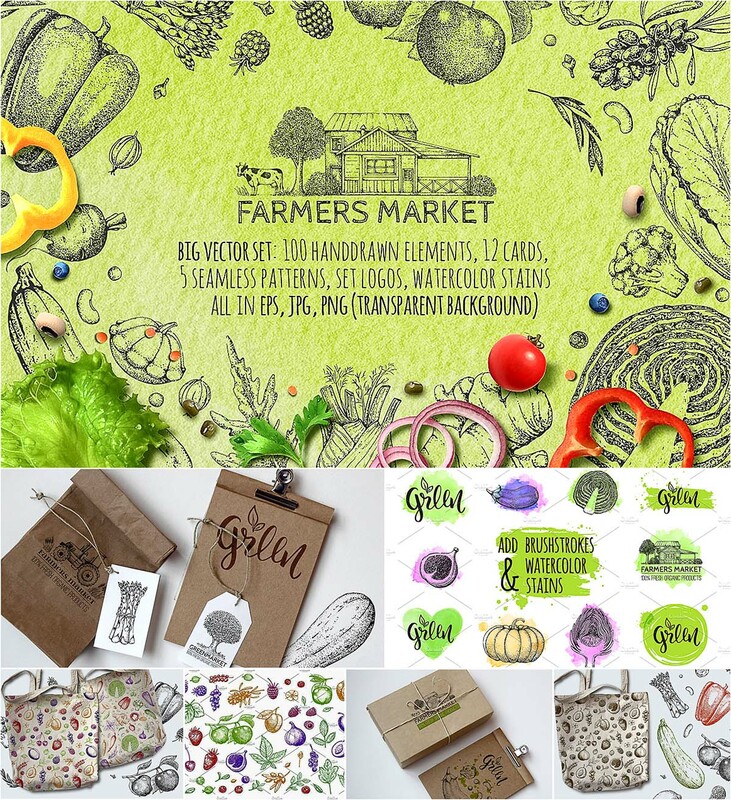 You can use for seamless prints, design food menu, tegs, stickers, textile, website backgrounds, postcards, gift wrap, packaging, wallpapers and more. Tags: eco, engraving, fruit, kitchen, organic, pattern, premade logo, sketch, stain, vegan, vegetable.